I wonder whether you could find me in the photo below. This was taken on September 10, 1995. I won't be able to recall that but thanks to the printed date on this scanned "kodak" moment shot I am able to take you back to one unforgettable night in my college life. "all photos owned by Margie"
...after the sun has left the sky that day, they were off to one fabulous night of lights, food and sounds...let us join them! a reunion bros and sisters? I'll be wearing blue lipstick? Your friend is as beautiful as you! I love the shot of her walking towards the beach. Love her swimsuit as well. Those are beautiful snaps, sis! Your friend surely has a pretty face and she looks so happy! And I love all the smiles in that first pic you shared! 1995... I was in Fifth Grade on that year and there is so much fun times to recall! Lol. you both are lovely and beautiful Zen, love love your pose there, and so slim you! :) can we go back to that slim days? haha! kudos to your friend for having maintained her 2-piece figure. Margie is blessed with such a great figure. She doesnt' look like she has 3 kids. 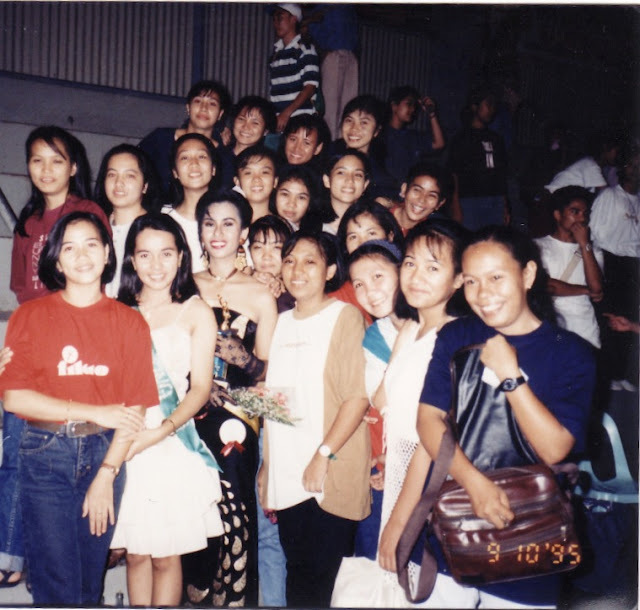 By the way, I also volunteered to join a pageant back in highschool, but that was a deal among all of us in the barkada. I have no doubt that you are the one carrying a brown shoulder bag, am I right Doc Zen? You have that contagious smile! Wow! your friend did maintain her flawlessness. Browsing at your photos made me recall our last trip at Bora. Dyan din kani nag-stay sa La Carmela. The beach is so good though hindi ako nag-swim. But my eyes feasted on those Korean bodies. LOL Yes, sarap din ng foods dyan. 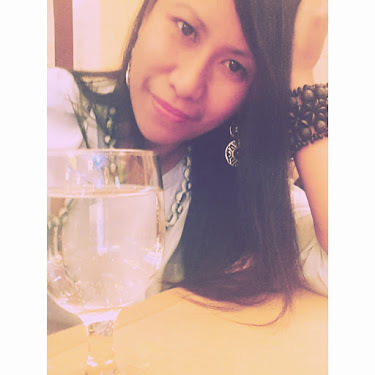 I like the 3 reasons above to visit Boracay and the nice pics too .. :) Thanks for blogging about it. Hope to visit it soon. Boracay is really a perfect place for bondig moments with families, friends and loved ones.